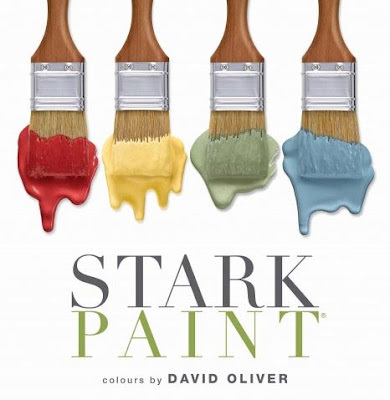 As an interior designer, part of my job is to keep up on the trends and new products on the market, but somehow I missed the memo that Stark has a new line of paint. Some paint decks can be a lot to flip through just to find the perfect color, so I appreciate it when certain companies narrow down the selection (Farrow and Ball is another great one). Stark's paint collection contains 240 beautiful colors. Stark Paint is the collaborative effort with London-based color specialist David Oliver, who has served as a consultant to Stark in the U.S. paint venture. 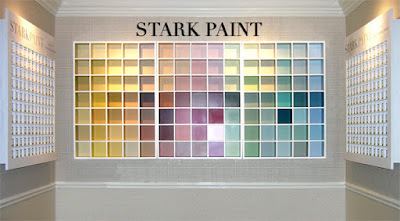 Stark Paint is not only free of VOC’s and made in the America, but it is also available in three finishes including velvet emulsion, porcelain shell and lacquer gloss. Stop by the Stark showroom in Laguna Niguel, or Kenneth McDonald in Costa Mesa to pick up a sample book.